Observation - Black Throated Thrush at Newholm, North Yorks - UK and Ireland. 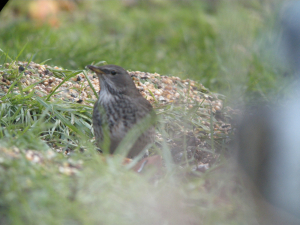 Description: Rare thrush from Siberia visits Yorkshire garden. Rare thrush from Siberia visits Yorkshire garden.